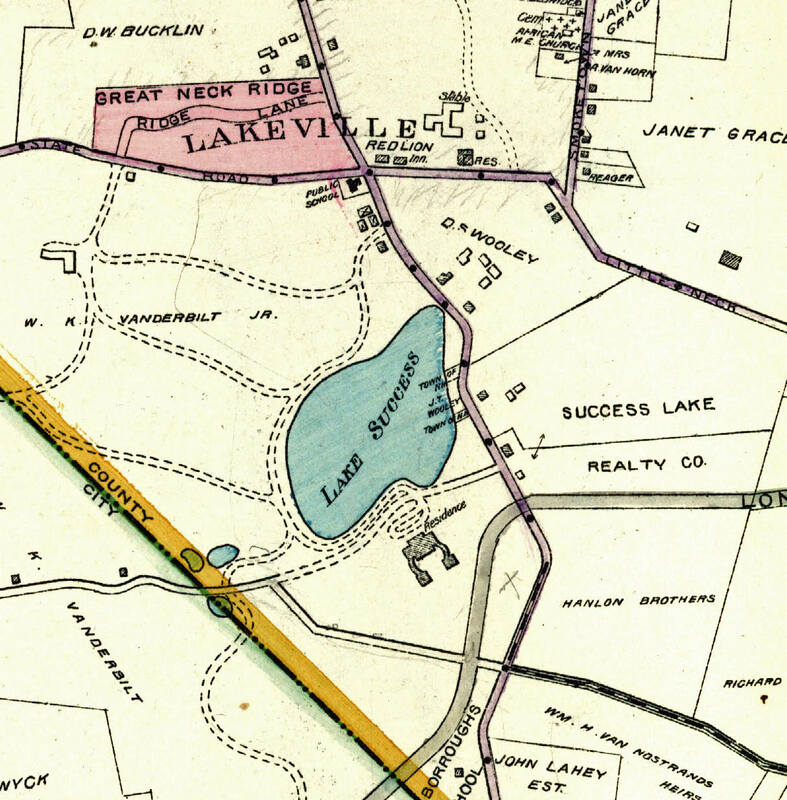 As seen in the 1906 Belcher-Hyde map, the Lakeville Hotel was on the north-east corner of the intersection of Lakeville Road and I. U. Willets Road in Lakeville, now Lake Success. 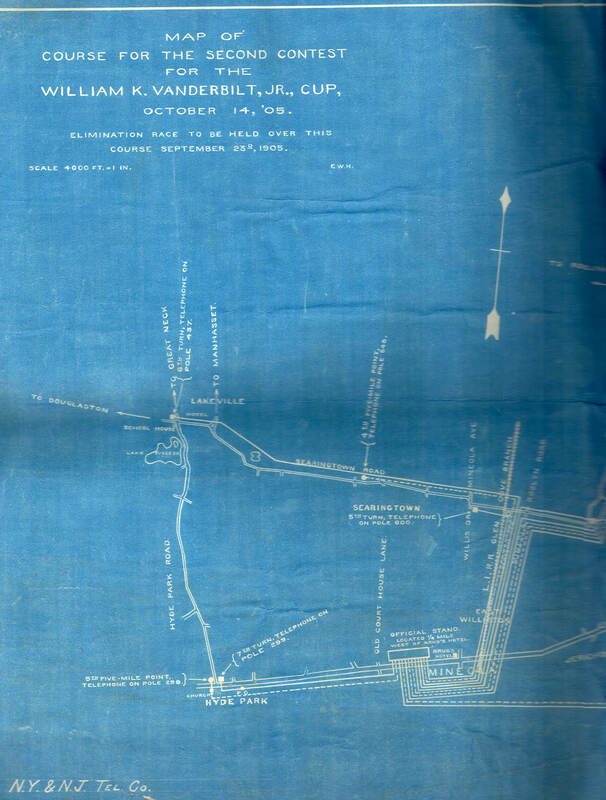 The 1905 blueprint for the "second contest" showed the turn at the hotel. This ad ran in the 1905 Program Guide promoting "Accomodations for man or car or both". Frank Flaherty was the proprietor. 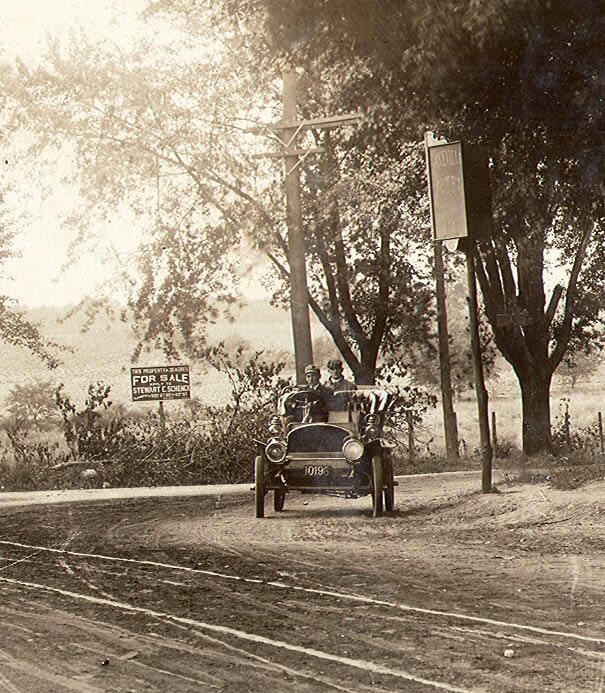 Looking west, a car making a turn on to I.U. Willets Road. The sign reads" For Sale by Stewart Schenck". 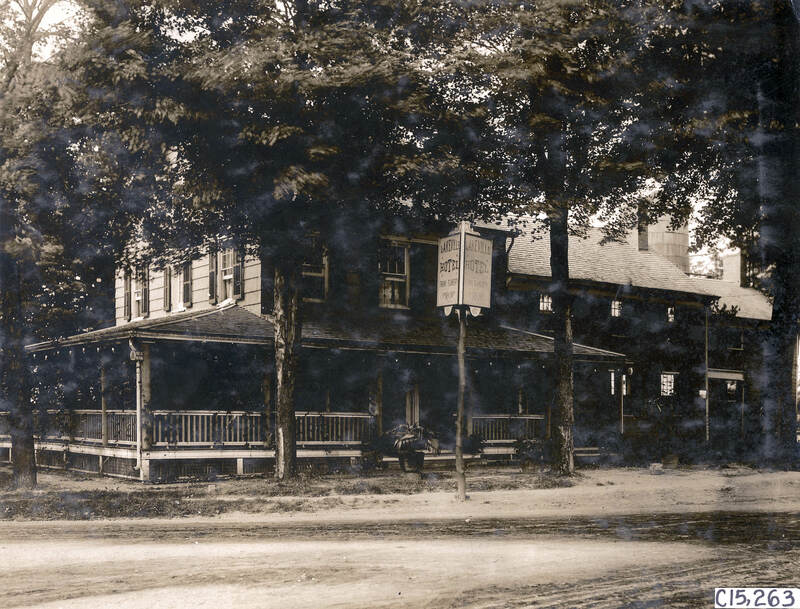 The Schenck family were early Dutch settlers on Long Island. 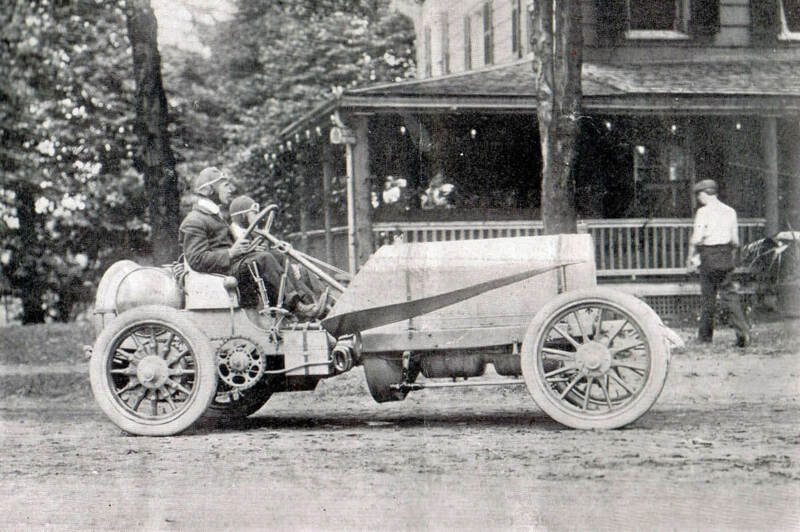 Can anyone identify the car? 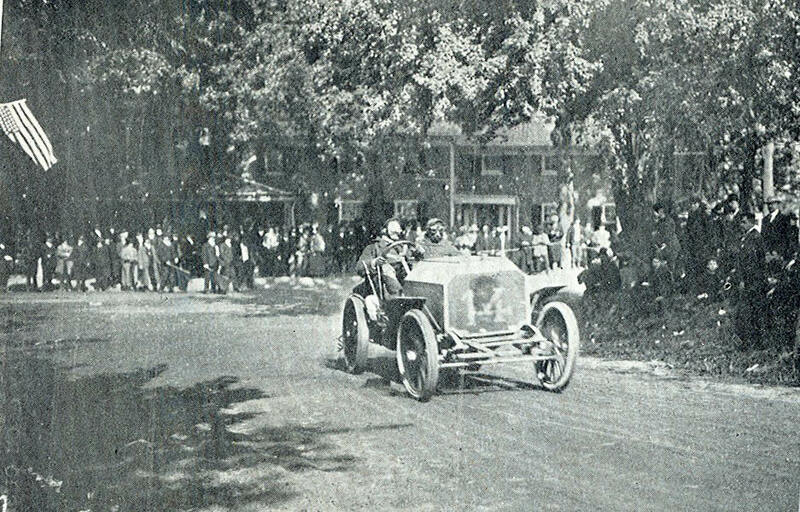 Driver Joe Tracy and his mechanician Al Poole in their Locomobile in front of the hotel. A view of the hotel looking north. My favorite view of the Lakeville Hotel. 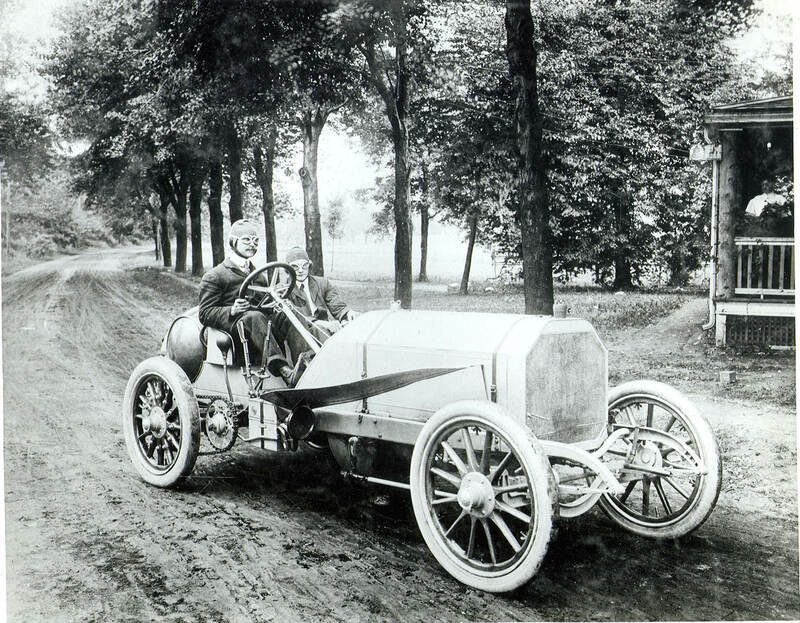 Felice Nazzarro driving his Fiat during a practice run. The hotel is in the background. 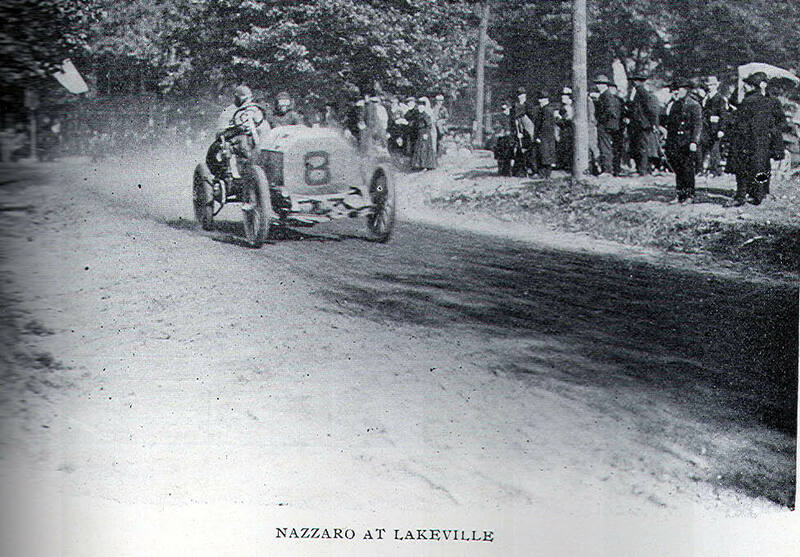 Nazzarro during the race at the Lakeville Turn. 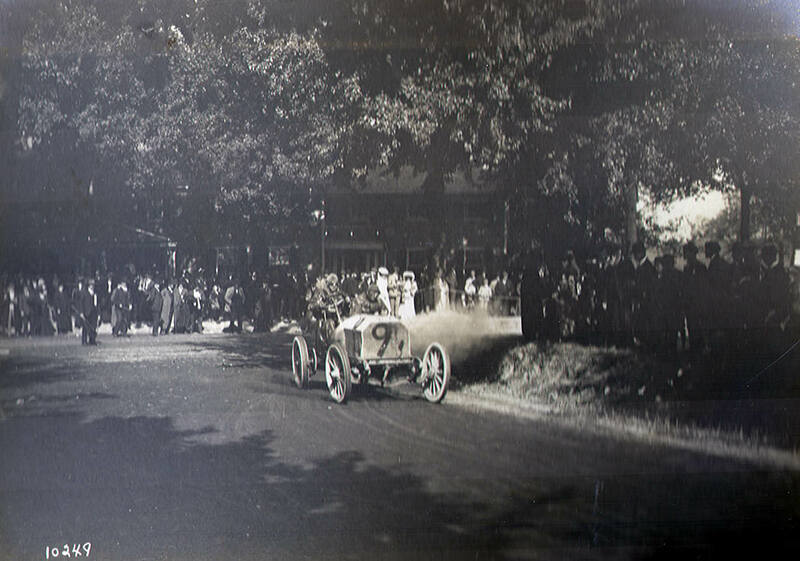 John Warden's Mercedes in front of the well-dressed crowd at the Lakeville Hotel. 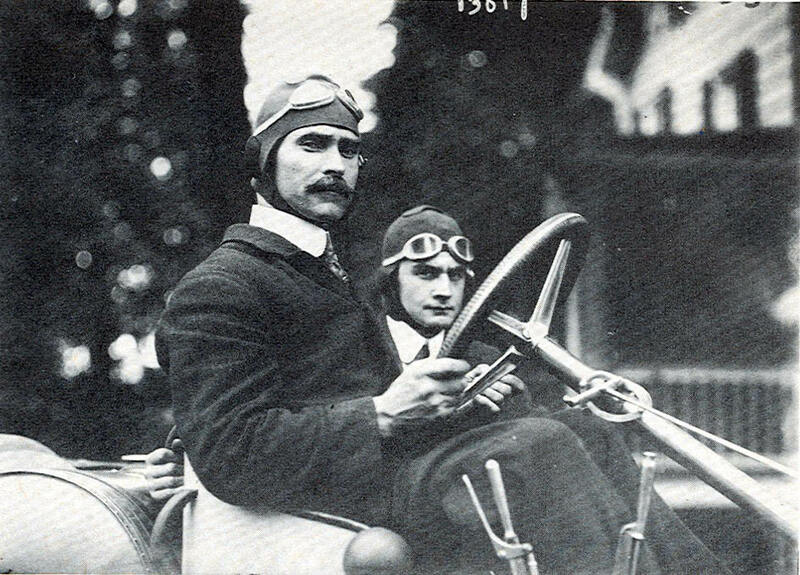 The 1904 winner George Heath driving his new Panhard. 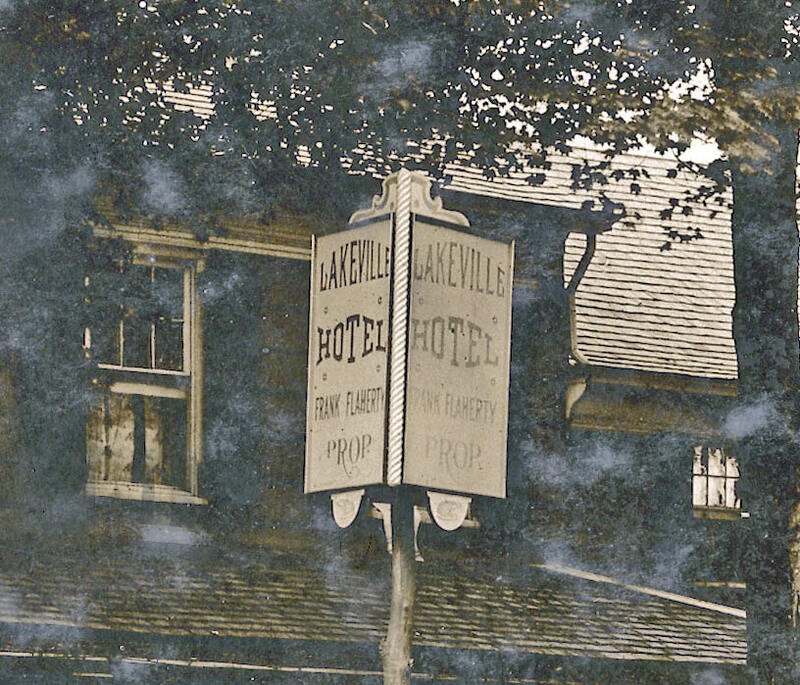 The Lakeville Hotel was sold several times and often renamed. 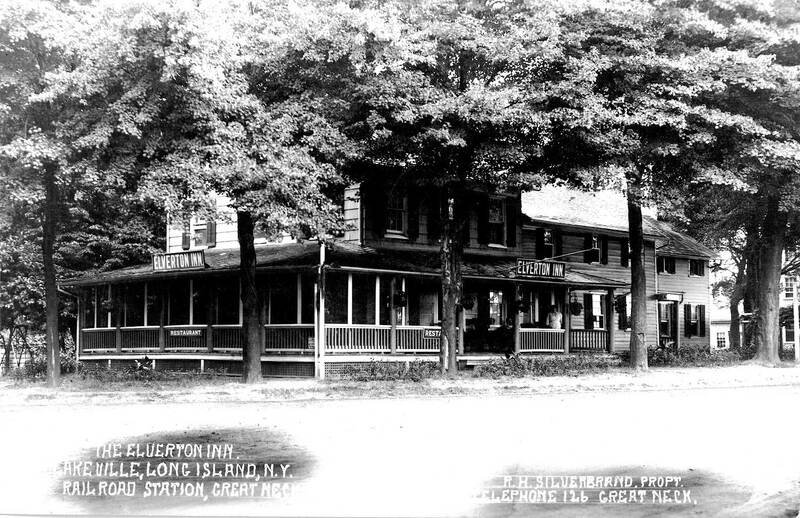 Here it was the Elverton Inn with R.H. Silverbrand as its proprietor. 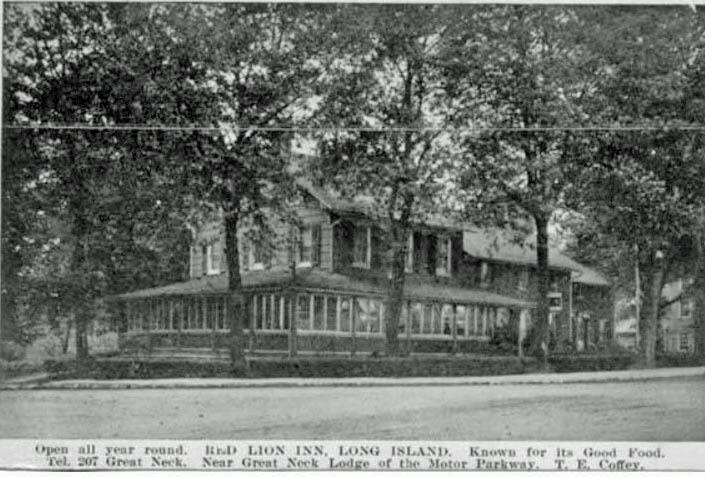 In the 1920s, the hotel was called the Red Lion Inn promoting that it was "Near the Great Neck Lodge of the Motor Parkway." 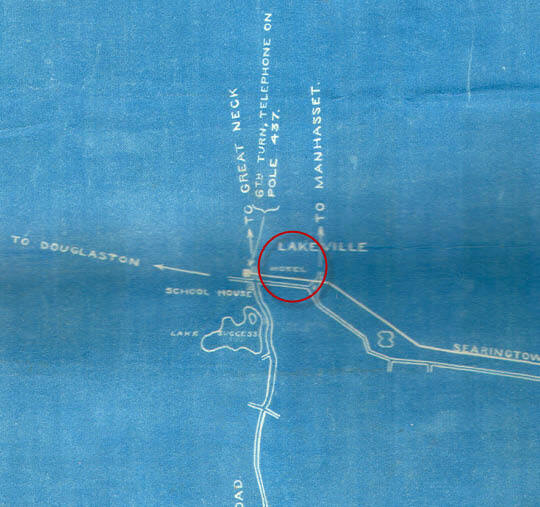 Although the Red Lion Inn was destroyed by fire in 1927, it was still marked in this 1932 map. 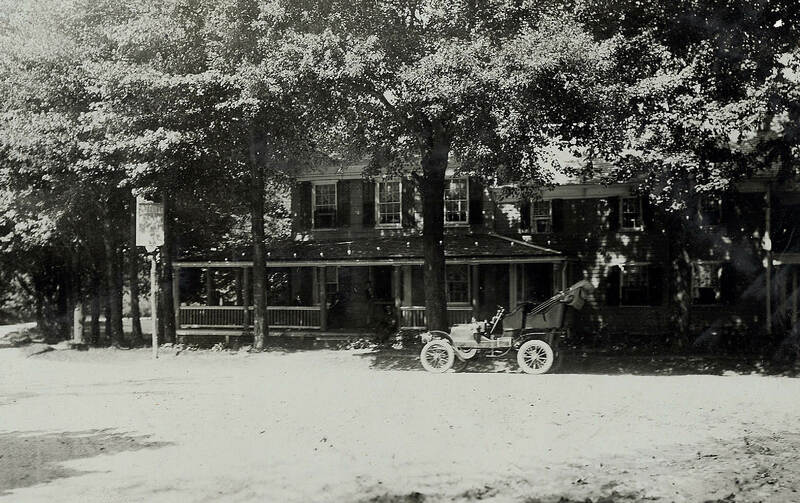 According to Lake Success Village Historian Dr. Jack Binder, the hotel burnt down in 1927. 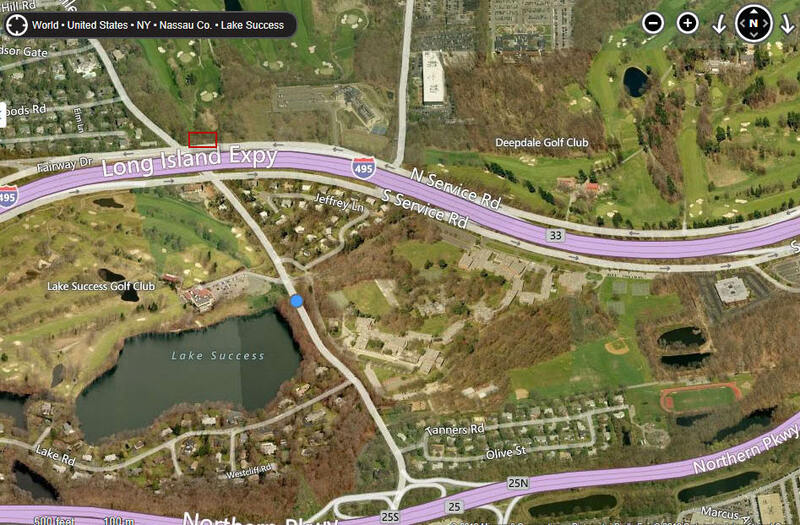 The 2012 Bing "birdseye view" of its location places it adjacent to the north service road of the Long Island Expressway. Hi Howard. 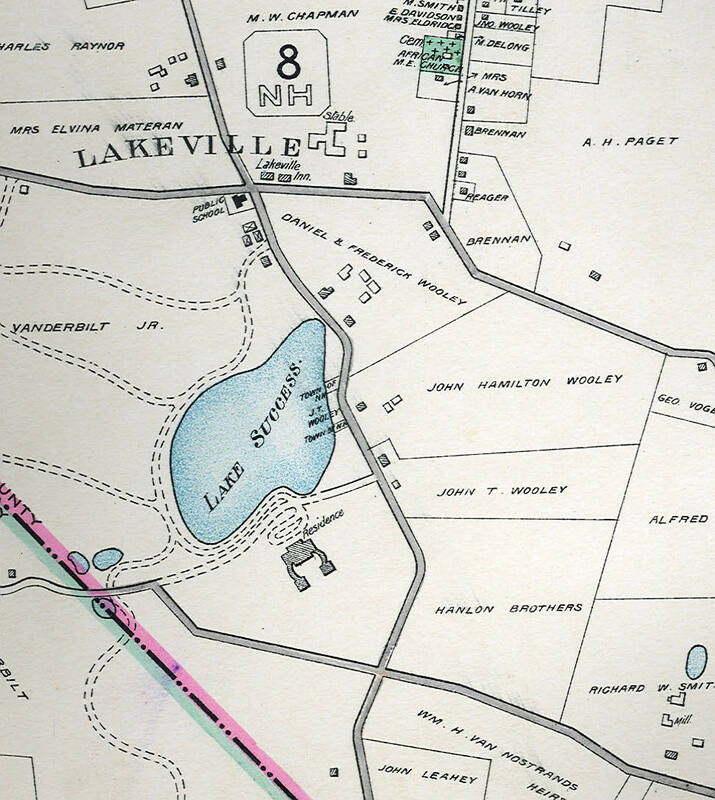 A sign stating “church property” is in the area of the “rectangled spot” near the N Service Rd on the bing map. 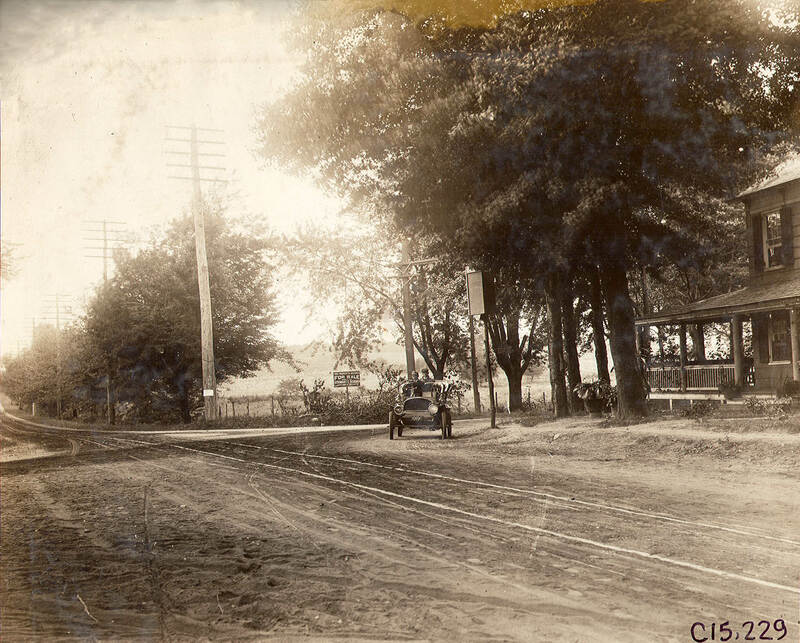 I driven by there many times, and it seemed like there used to be something in that fenced property. 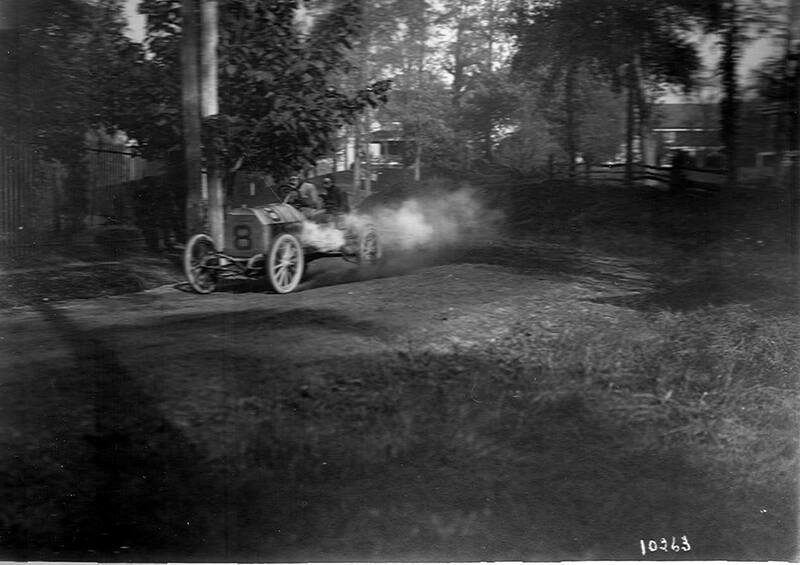 The car you need identified is a circa 1904 - 05 Franklin. Now referred to by current enthusiasts as the “cross engine”, as the engine sat across the chassis, not in line with it. Franklin had an ash wood frame chassis thru 1928 and were always air cooled. They were built in Syracuse , N.Y. I was a caddy for nearly six years at the Fresh Meadows Country Club and yes, indeed, that property was a sketchy shared plt between the church and the club…there were remnants of foundations there for a few years and even some abandoned pump and gas station fragments in that same spot.